The Military Intelligence Agency (MIA) marked its day at the "Dom Garde", on May 6, 2010. The celebration was attended by the President of Serbia Boris Tadic, the Minister of Defence Dragan Sutanovac, ministers in the Government of Serbia, the Chief of the General Staff of the Armed Forces of Serbia, General Lieutenant Miloje Miletic, the representatives of the Ministry of Defence and Armed Forces of Serbia, the members of the Ministry of Internal Affairs, of religious communities, defence attaches accredited in Serbia and numerous guests. 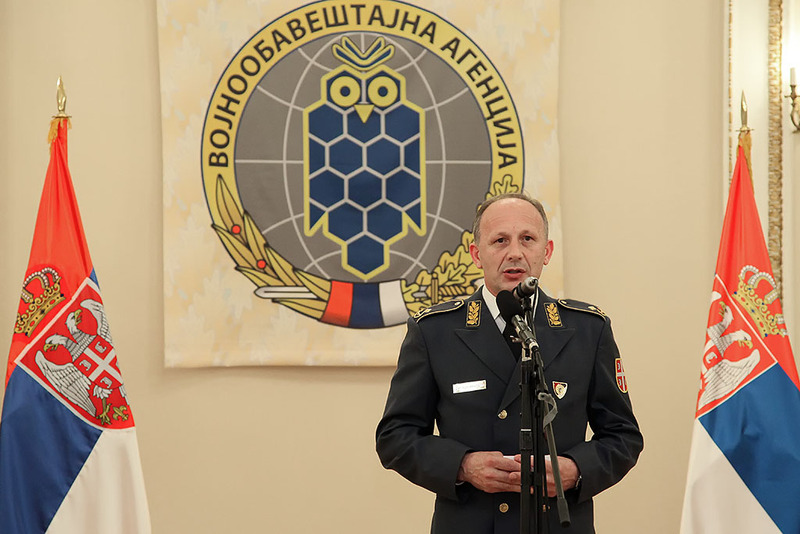 After welcoming the gathering, the Acting Director of MIA, Brigadier General Dragan Vladisavljevic emphasized that "the Military Intelligence Agency is today истакао је да је a contemporary organization whose members are characterized by professionalism, high level of education, expertise and motivation". General Vladisavljevic said that the MIA, as a modern intelligence service of the Ministry of Defence and the Republic of Serbia performed intelligence function securing the state's defence and that, through the net of defence attache offices, it contributed to strengthening the military cooperation and to presentation of the state and the Armed Forces abroad". "During the last year, good results were achieved", stressed General Vladisavljevic, adding that the Military Intelligence Agency would in the future, with the highest level of its professional engagement, strive to realize its tasks in the best manner possible and contribute to the security of Serbia. The Military Intelligence Agency marks its day on May 6, when in 1920 the Decree on the Main General Staff and General Staff of the Kingdom of Serbs, Croats and Slovenes became effective. Through this Decree the Intelligence Division of the Main General Staff was established. Thus the intelligence division became a separate organizational unit, for the first time after forming our modern armed forces.